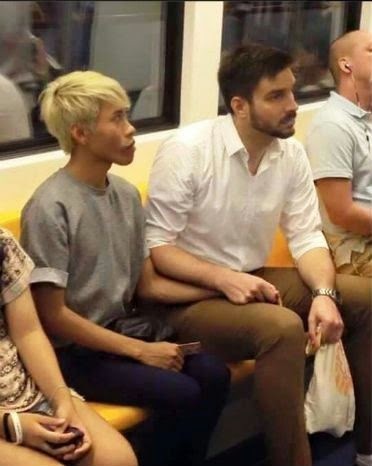 It took an image of a gay couple named Naparuj Mond Kaendi (from Thailand) and his boyfriend of German descent Thorsten Mid holding hands riding the Bangkok Sky Train to go viral and sent some Filipinos' tongues wagging. While there were so many Filipino netizens supportive of their relationship, there were quite a number who were disgusted with it and some of the opinions alluded to other gay issues and of course making fun of the physical appearance of the Thai creative director. Haters gonna hate and no amount of laws and superpowers can change their point of view. It is nobody’s business to judge the relationship of this Thai –German gay couple. If you have an opinion, pepper it with facts and figures. It is not enough, right, and just to enumerate what is wrong in this picture as you are judging these two by rules you only made. 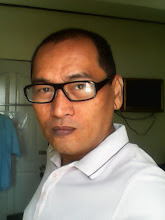 What is right for you is not right for them and what is wrong for you is not wrong for them. They can only be wrong if both have broken the universal principles on love, mercy, peace, and justice. To further stress the hypocrisy of other peoples’ perspective, here’s a portion of the song “King of The Hypocrites” by the Eurythmics just to remind them how unjust their points of view are.